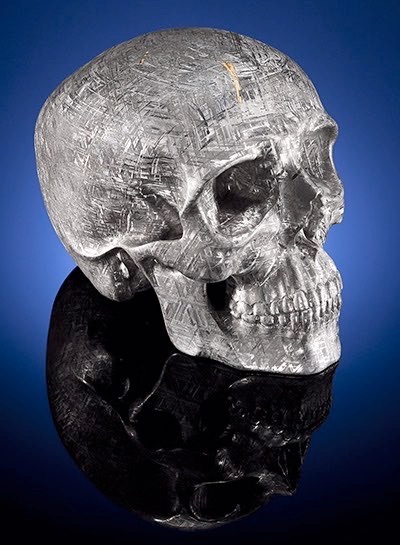 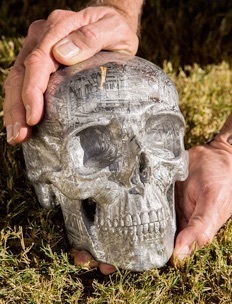 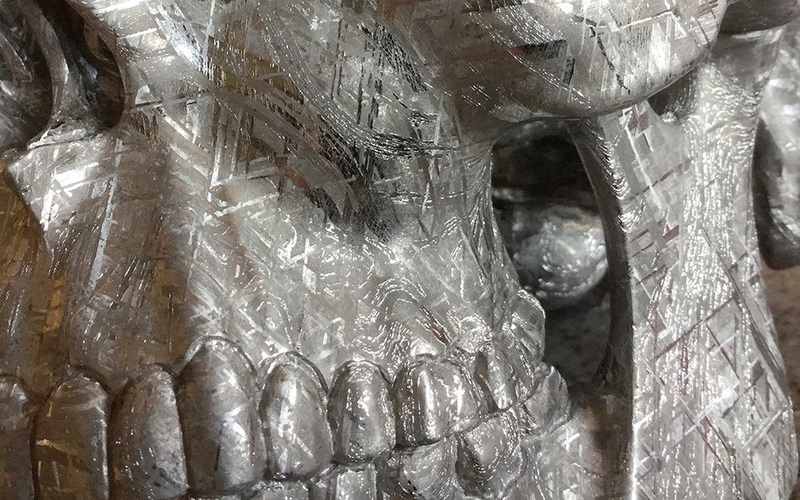 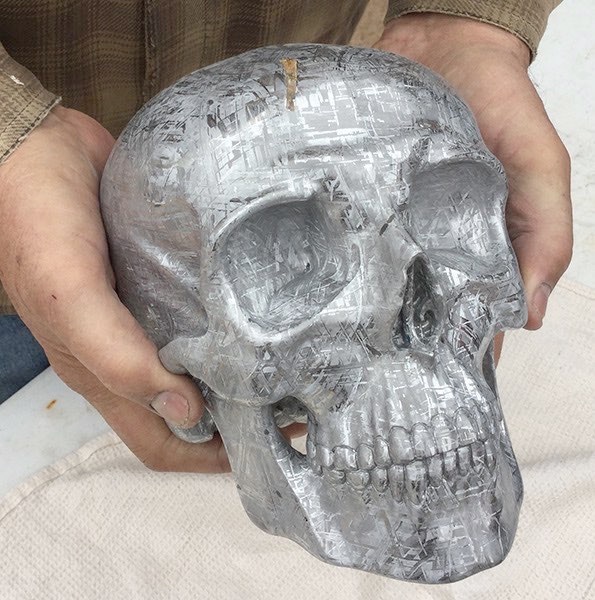 For your consideration, let us introduce you to an absolutely stunning life size skull hand carved from a single block of Gibeon meteorite. 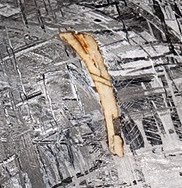 4 billion years old, originating in the asteroid belt and landed on earth, a true time traveler and masterful artifact. 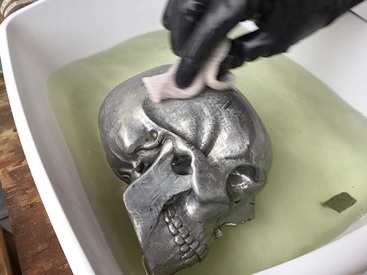 With a large tridymite crystal in his forehead, Yorick begins a new life. 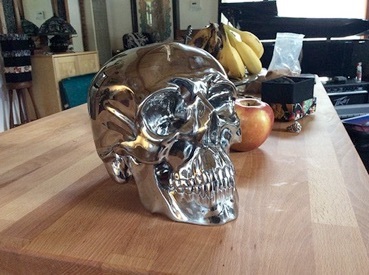 A rare and singular combination of natural history and modern art weighing in at 21,080 grams.